Twice a year in May and September we offer the most extensive way to experience North Korea by bicycle. 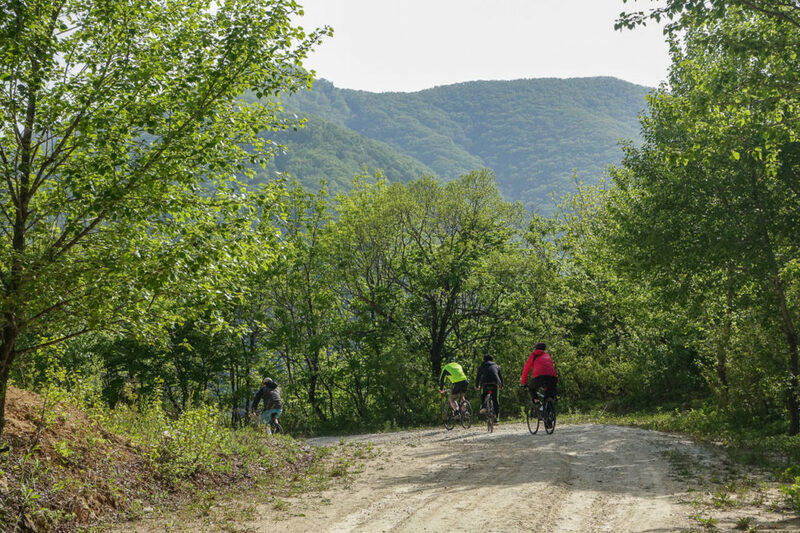 Our cycling tour is geared towards the active traveler rather than professional cyclists, offering a healthy mix of traditional sightseeing opportunities and intimate encounters with North Korea’s untouched landscape and culture. 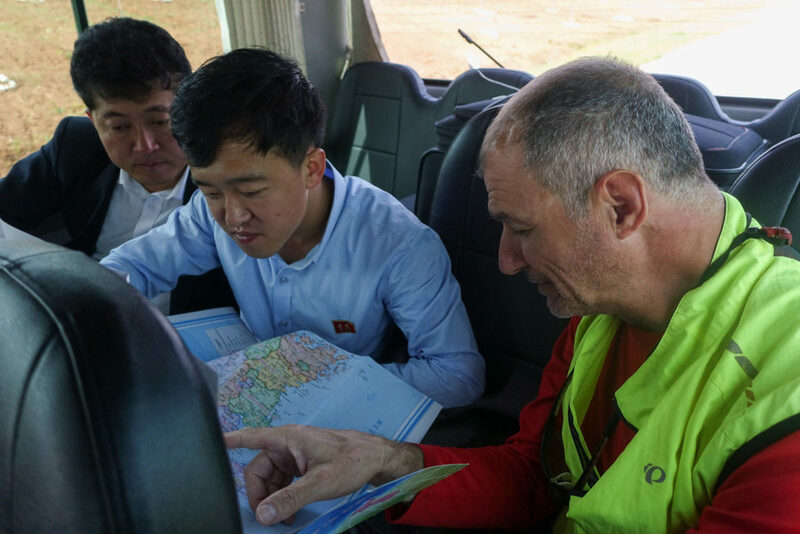 Tourism in North Korea is quite unique in that independent travel is not possible, and each year with this tour we push the boundaries and proudly claim it as the ultimate cycling tour of North Korea. Take a look below to see why! 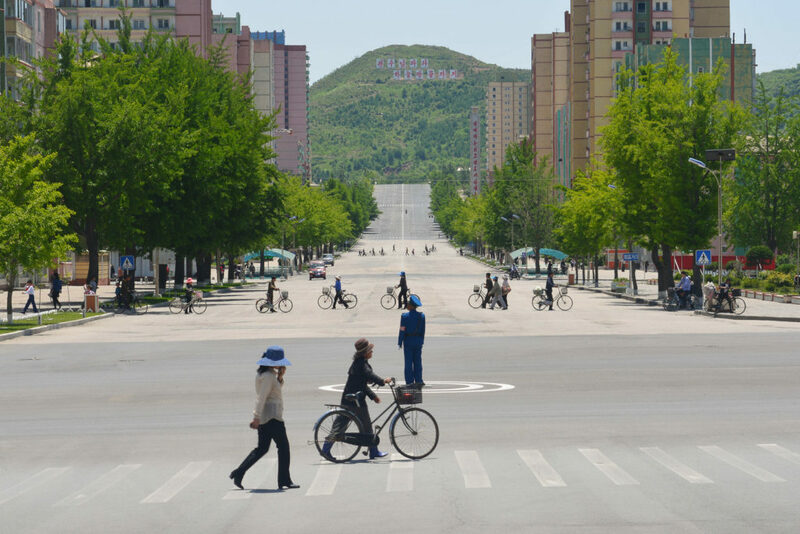 Your orientation of North Korea’s capital will be from the bicycle seat. 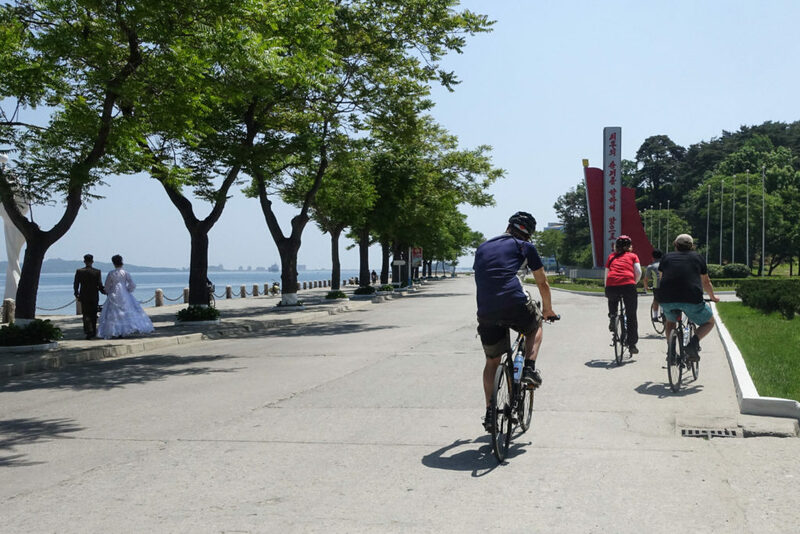 Pyongyang is well resourced with bike lanes and we’ll follow them along the picturesque Taedong River into the political heart of the city to views of the Juche Tower and the Kim Il-Sung Square. 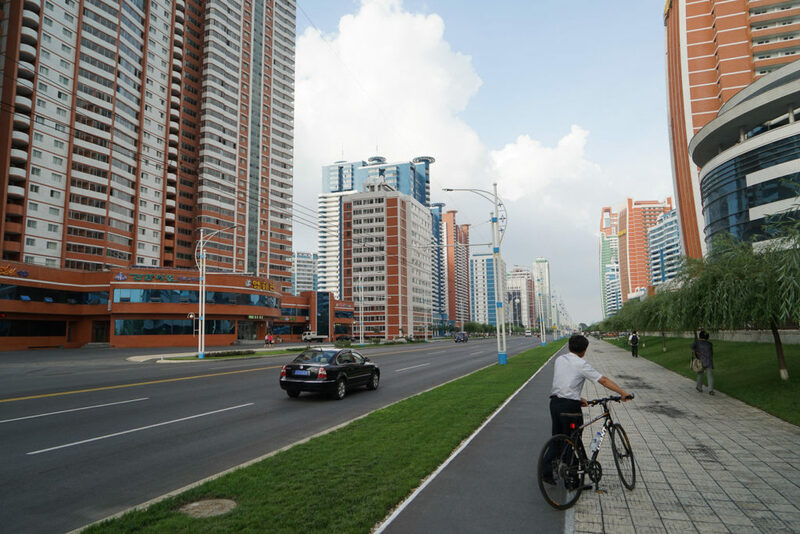 You’ll see Mirae Scientists Street and Changjon Street, two iconic apartment avenues responsible for Pyongyang’s modernized skyline. 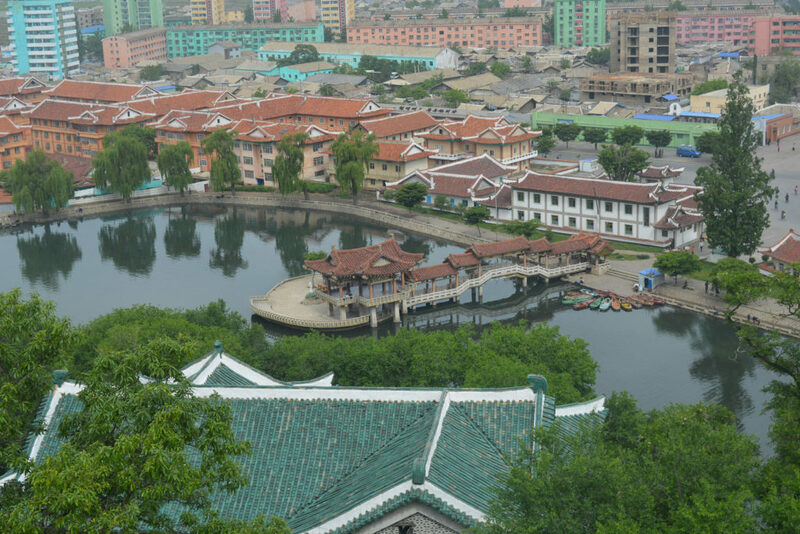 Between the cycling, visit major highlights such as the Grand People’s Study House, the Pyongyang Metro and Victorious Fatherland Liberation War Museum before we pedal our way from the Chongchon Street Sports Village to the massive ten-lane Kwangbok Street, a boulevard unlike any other. 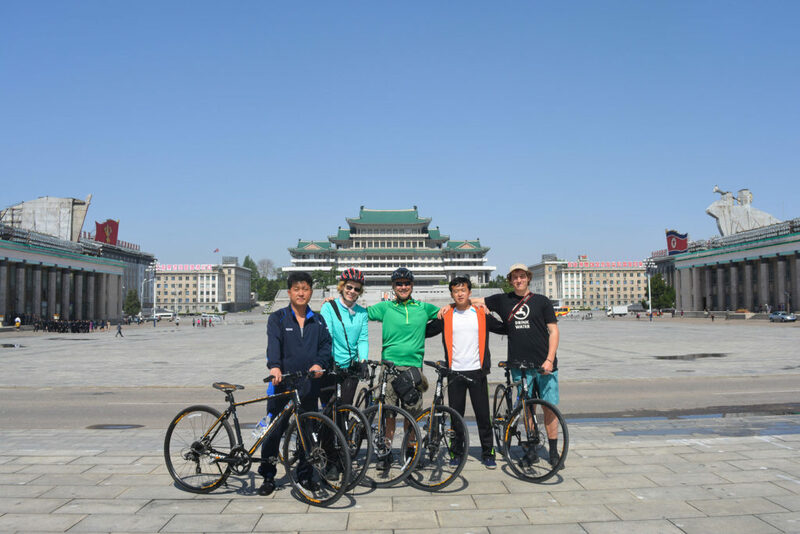 Bonus: We can arrange a bicycle tour of Pyongyang on any of our private tours. Just ask us! Nampho is a west coast seaport city known for its trade, factories, and seafood. 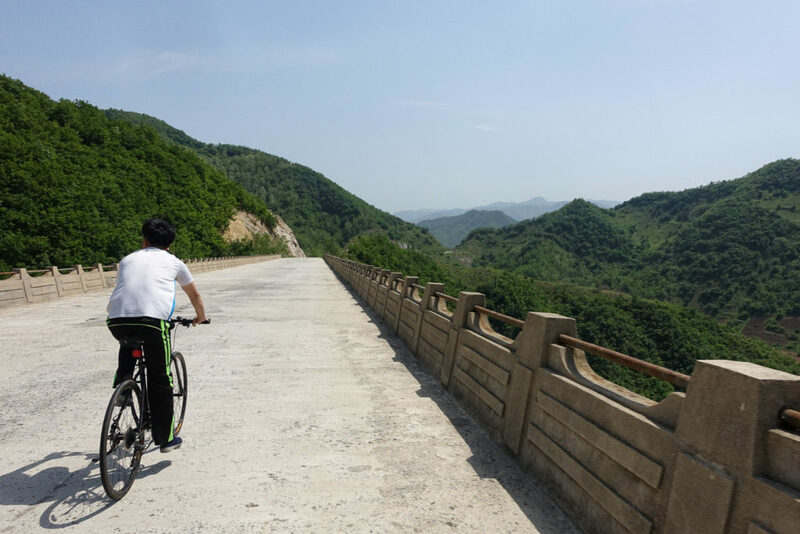 The Youth Hero Highway links Pyongyang with Nampho, and we cycle it after a visit to the Chongsanri Cooperative Farm. This motorway is wide and wholly surrounded by arable farmland, presenting a great opportunity to witness rural life as farmers tend to their crops and cycle between countryside provinces. 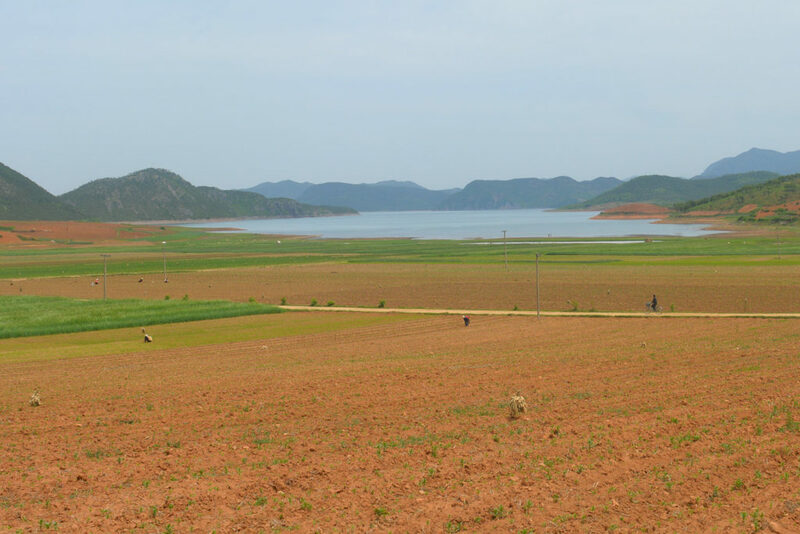 North Korean topography is mountainous on the east but flat on the west, so this is a relatively relaxed cycle. We’ll also visit the jewel of the region, the West Sea Barrage, a proud achievement known to all North Koreans. Venturing inland, we’ll tackle an off-road route nearby the Masikryong Ski Resort. This region boasts a number of bushland trails laden with creeks, small waterfalls, and dense green forest. Relax and enjoy the unique terrain as we follow the water on a primarily downhill path leading to a scenic lake. Overnight will be at the luxurious Masikryong Hotel and in the morning we’ll take a chairlift to Taehwa Peak, the highest peak in the area where on a clear day you’ll see as far as the east coast city of Wonsan! Hitting the east coast, cycle through the maritime city of Wonsan known not only for its beaches and fishing industry but also as a naval base. There are major seaside resort developments underway here. We’ll visit the Songdowon International Children’s Camp and cycle beachside with a stop for swimming and a dive from the floating platforms. 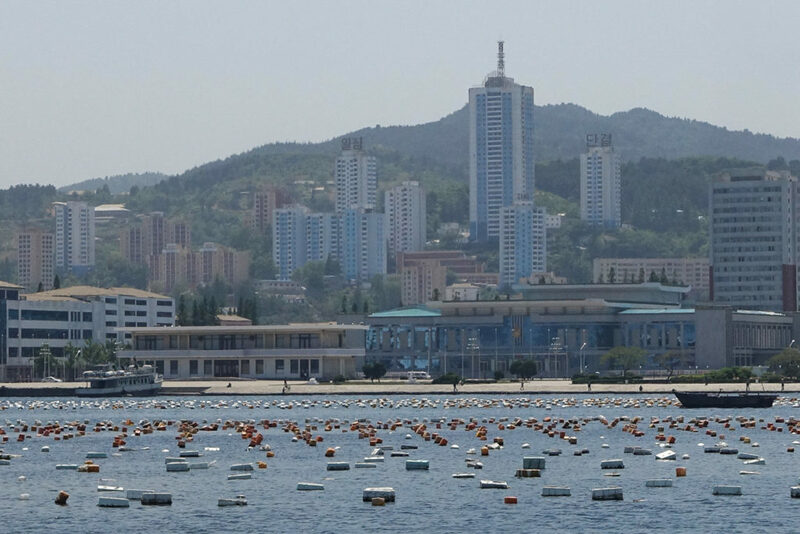 See the bronze monuments to the Great Leaders as we roll through the Wonsan docks, and rub shoulders with local fishermen on a walk across the Jangdok Islet. A fresh seafood spread for dinner will be the obvious choice! Pass through remote townships en route to Chonnae County, the starting point of one of our toughest but most rewarding routes. 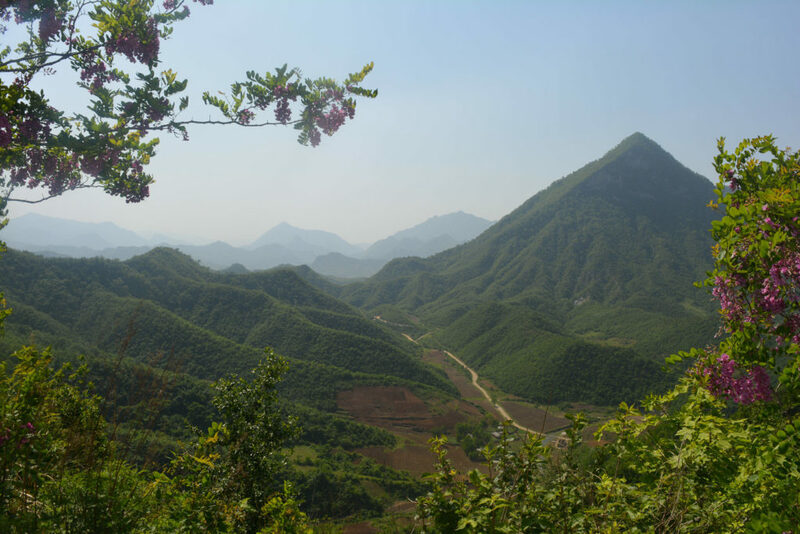 Expect breathtaking views as you conquer the winding roads of North Korea’s mountainous east. With every scaled vertical you’ll be greeted by a satisfying slope to glide down with the wind in your hair. This road leads us to the Ulim Waterfall, a spectacle you’ll hear far before you see, one that doubles as a great spot for a picnic lunch washed down with a Taedonggang Beer. You’ll be one of the very few foreigners to ever cycle this area on a special route recently made available to us! 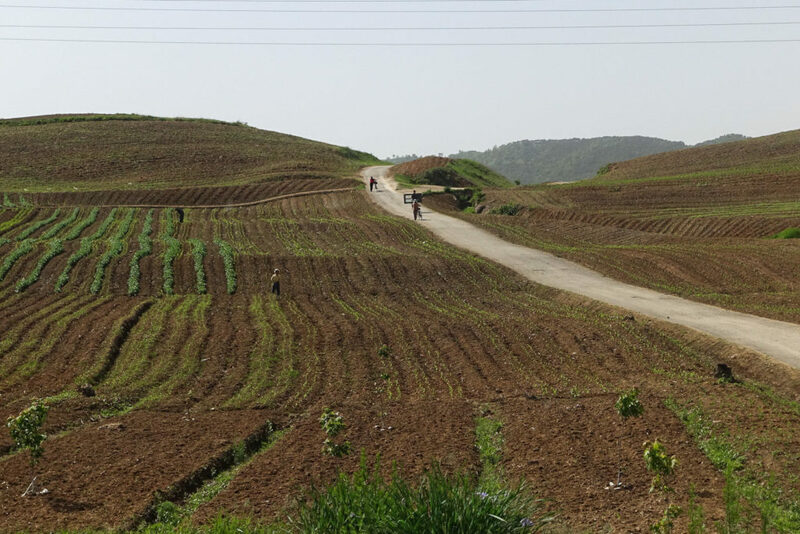 After visiting Sariwon, home to a romanticized folklore street depicting ancient Korean culture, we’ll depart Jaeryong County by bike en route to Mt. Jangsu. Get an up-close look at rural life as we cross agricultural plots and wave to farmers before scaling Mt. 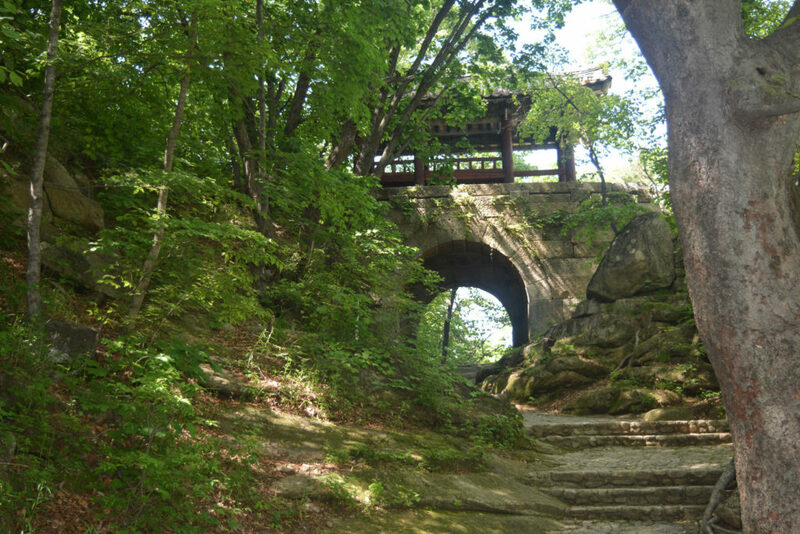 Jangsu, famous for its peaks and valleys. Enjoy a well-deserved picnic with a view before heading onwards to Kaesong city. Kaesong is the ancient capital of the Koryo Dynasty and a household name in ginseng, a root renowned for its medicinal benefits. After a morning visit to the Demilitarized Zone, the border dividing North and South Korea, we’ll cycle past the traditional Korean dwellings making up Kaesong towards Pakyon Falls. 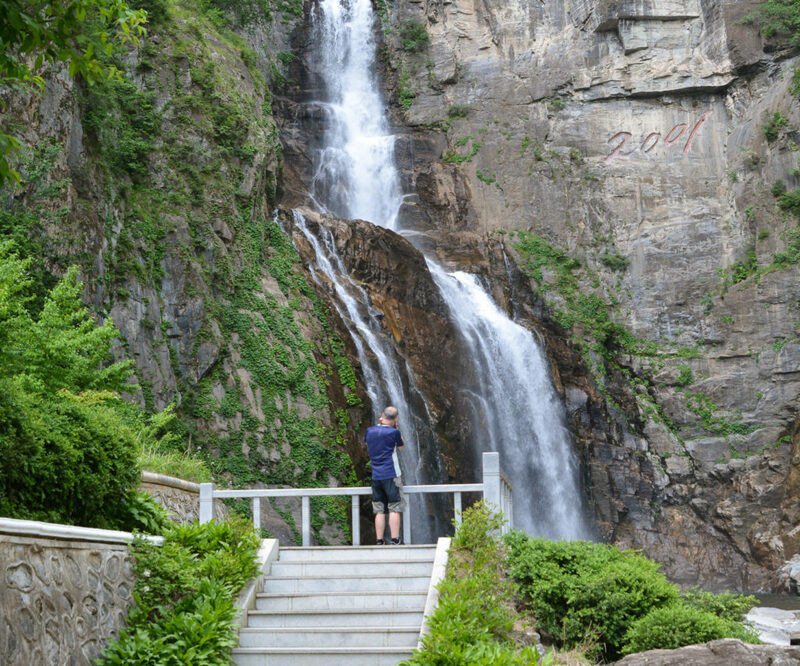 Pakyon Falls is one of North Korea’s famous waterfalls and topped by an ancient pavilion. It’s common to see locals letting their hair down here over a picnic! Want to be part of the next one? Check out our cycling tour here or contact us directly at [email protected] for further information!